The world’s smallest bear – the sun bear – lives in the dense remote forests of South East Asia. But the population of this elusive animal is suspected to have declined with loss of habitat and poaching probable major causes. 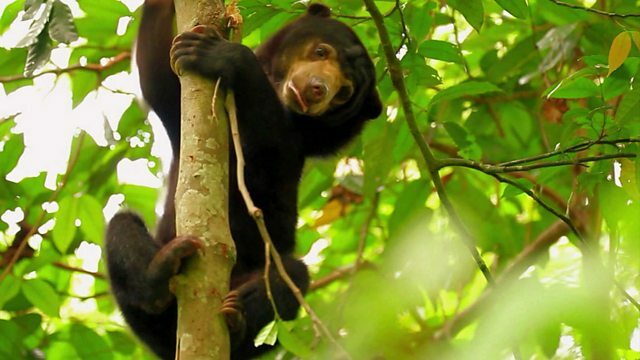 Henry Golding visits the Bornean Sun Bear Conservation Centre to find out how it’s helping protect the future of these shy animals.